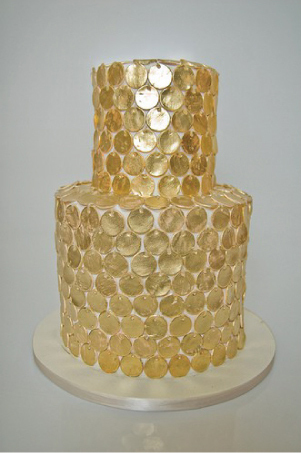 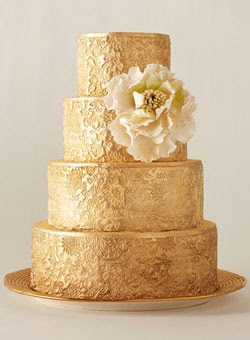 Wedding cakes with a gold theme. 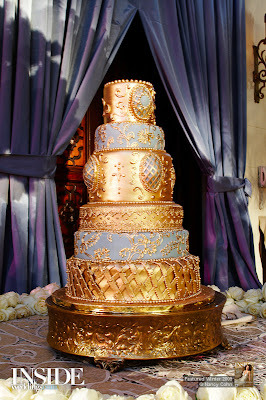 Opulent, fancy, rich and lovely! 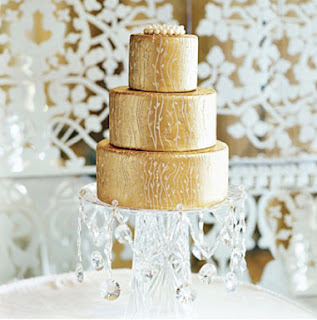 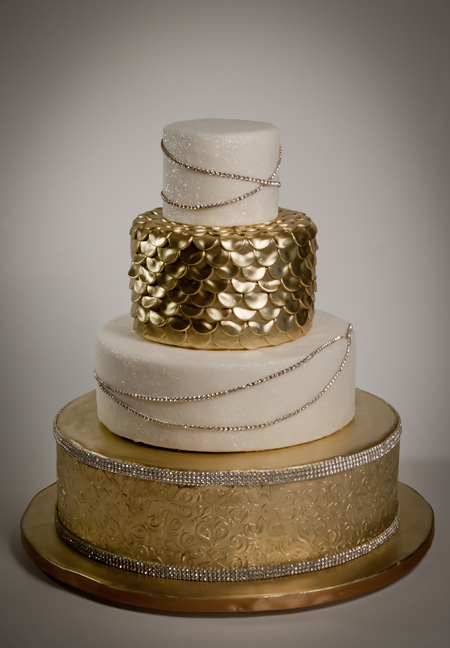 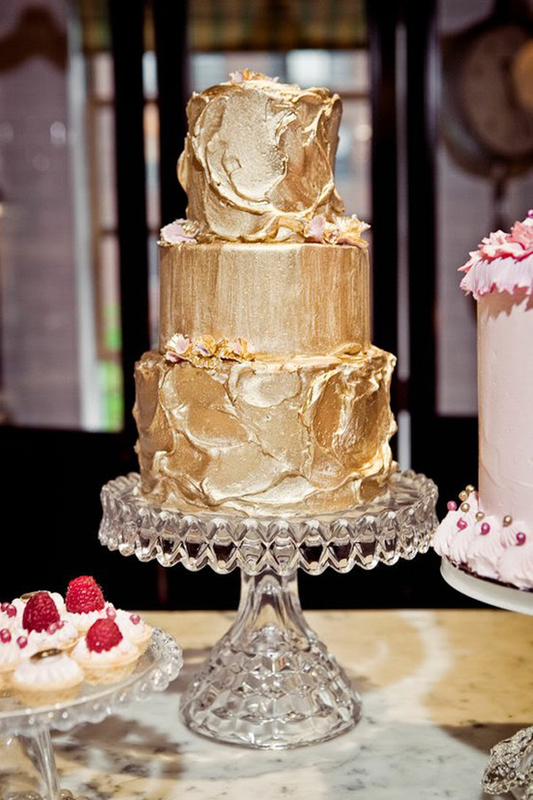 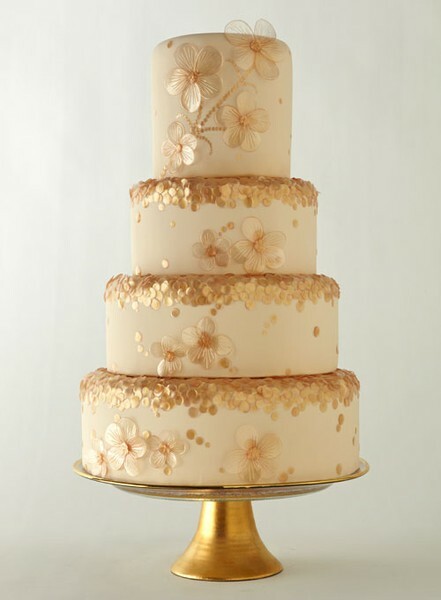 Elegant champagne gold wedding cake. 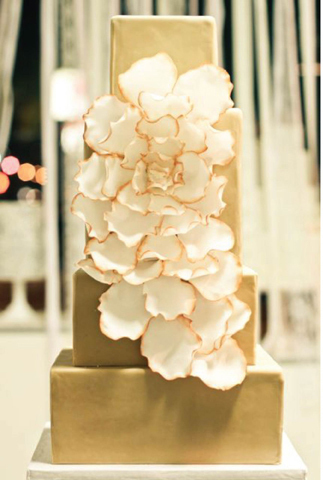 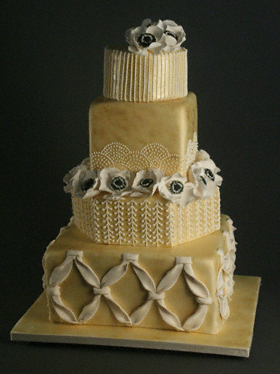 The next two luxurious wedding cakes come from Sugar Couture.